Nestled beautifully in the Shiwalik Hills is the picturesque hill town of Kalimpong in the West Bengal state of India. Housing large number of Buddhist Monasteries, Kalimpong is visited by large number of Buddhist pilgrims and tourists every year. The place is not only known for its scenic charm but is also famous for its flower market. Finding an accommodation is not a problem for tourists visiting this beautiful hill town. From luxurious and plush deluxe hotels to distinct heritage to affordable budget hotels, you will easily find all kinds of accommodation in Kalimpong. 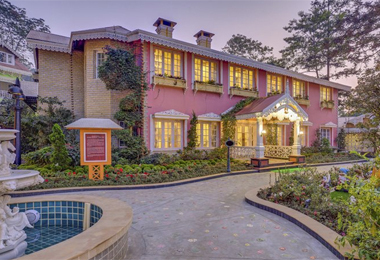 Heritage Hotels of India offers to give you online information on Heritage Hotels in Kalimpong in West Bengal, India. Providing you with luxurious comforts and warm hospitality, Hotels in Kalimpong are something to look forward to while on you stay here. If you want to experience royal comforts and luxurious stay in distinct style, then heritage hotel in Kalimpong is the answer. These hotels were once the residential bungalows of the British officers, that have now been converted into Heritage hotels. 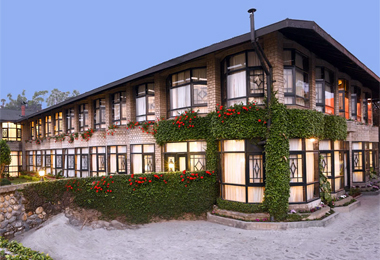 Heritage hotels in Kalimpong are beautifully designed in colonial style and provide you with comforts and warm hospitality giving you a feeling of home away from home. Besides, the hotels also promise its guests with a fine dining experience and serves sumptuous delights for its guests to relish and pamper their hungry taste buds.